Do you know what the best social media tools are for your business? What is the best social media tools for your business? If you have time to do only one social media thing what would it be? One person said it depends on your business. I countered with “for your business”. 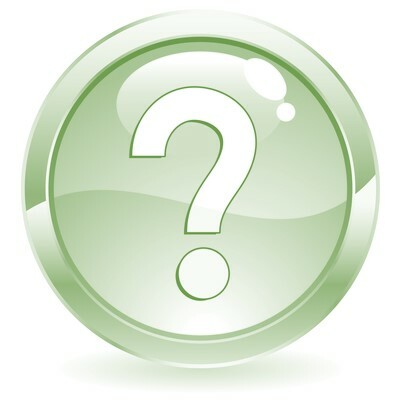 The answer to the first question is dependent upon what type of business you have. Each of us have a different audience and a different product. Some of us market to other businesses, hence, B2B. Others market to consumers or B2C. Depending upon which type of customer you have depends upon which are the best social media tools for you to use. You can discover more in my series of articles on B2B vs. B2C social media marketing. Once you have determined which one(s) is right for your business, include them in your overall marketing plan. The second question is a bit of a trick question. Where should you invest your time if you could only spend it on one social platform? My answer is write a blog article. The caveat is that it must be attached to your website like this one is attached to mine. I use WordPress as my platform. My blog is considered self-hosted. This helps your website work because it adds new content on a regular basis to your website. If you are regularly writing posts (regular is different for everyone, but my definition is at least twice a month), the search engines return to your site, find new information, and index your site higher in the search results for your related search terms. Writing a blog also helps demonstrate your subject matter expertise and shows visitors to your website that you are staying current on your industry. If you have the time to expand into other social media tools, you have automatic items to share from your blog. It becomes a win-win!! Give me a call, send an email, or reach out on social media, if I can help you establish the best social media tools for your social marketing efforts. Author DeeReinhardtPosted on November 5, 2014 Categories MarketingTags audience, B2B, B2C, marketing plan, product, social marketing, social mediaLeave a comment on What is the best social media for your business? 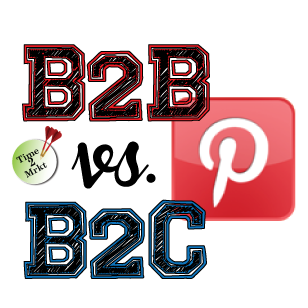 Next in our conversation about what are the best platforms for B2B vs B2C – Pinterest. Now many of you may think that this is just an image site like the ones that we discussed in the last article on images, but I feel like Pinterest requires and /or deserves it’s own article. When I was young, I had a cork board in my bedroom that was painted an obnoxious loud blue color that I would never use today! I pinned up buttons that I gathered and pictures of things that I wanted or liked. This today is called Pinterest. Pinterest is classified as a visual bookmarking site. Early in it’s infancy (2010) users had to be invited to participate. Over time they allowed brands to develop a brand identity instead of having to create a “personal” profile for your business. Many equate Pinterest to women as fantasy football is to men. 21% of Pinterest users purchased a product after seeing a picture on Pinterest. So how can this be used for your business? This will depend upon the product that you sell whether or not it product placement is beneficial for you on Pinterest. What does work phenomenally well on Pinterest are infographics. Create one that represents your industry statistics, processes that you have developed, or other industry related information. The visual aspect will help readers more easily digest the content. Link images from your product webpages. This will take viewers back to your website to get all of the details. Pin images that you have included in blog articles to drive viewers back to your thought leadership articles. Pinterest is especially useful for companies who sell products to women, but can be just as useful for products geared towards men, since most women do the “shopping”. Include a price in the description and pin the image to your board from your website or sales site and they can click your image to be able to buy the item on your website. The platform is great for crafters, builders, designers, vendors in the wedding industry, food establishments and clothing outlets. Because of the “board” concept your pins can reflect your company’s work as well as ideas you are gathering. In my humble opinion, there is a slight edge here for the B2C business. While I was thinking about trying to do this post in a 140 characters, it seemed a bit impossible. Plus the fact that the SEO on a 140 characters would be insane! 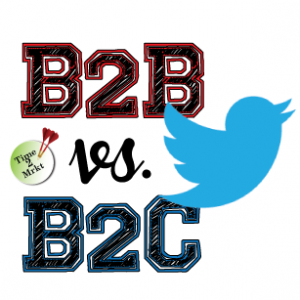 In B2B vs. B2C – Twitter is the shorthand of marketing your brand. The analogy some people make about Twitter is that there are two people talking loudly at a bar and all of the patrons hear the conversation. Be careful what you say because just like anything else on the web, you can’t take it back. With 500 million accounts and 215 of them active, Twitter has a robust group of users. B2B – Twitter offers a great opportunity to provide excellent customer service. It also provides a resource for lead generation if you make use of the advanced search functions. Another tool you can use is a TweetChat to engage your followers in in-depth conversations about products or how-to sessions. At events or conferences, live tweet during the event to share quotes from the event with followers unable to attend. Tweet important points from webinars to bring home points. B2C – Customer service is an important function for a B2C business as well. A few things you can use Twitter for include specials that drive customers to landing pages; alert fans to daily specials or locations of food trucks or pop-up sales; and, with Vine, you can share short looping videos to bring home a point or share fun moments about your business. Check out the other areas where social media is useful for your B2B vs. B2C business. 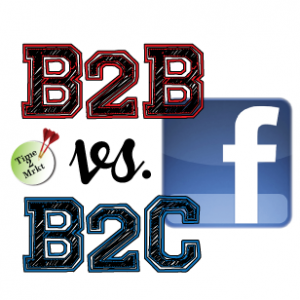 When we are discussing the difference for B2B vs B2C – Facebook, we need to understand the sheer number of users on Facebook make it a necessity to own your real estate on the social media platform. Facebook is more like a backyard barbecue. You invite friends because you like to socialize with them, co-workers because you may have lunch with them, and family (sometimes because you have to). B2B – the usefulness of Facebook for you depends upon whether you can share information that someone may search. If you can, share industry related information, product updates, announcements, pictures of products with links back to your website. Work to build brand awareness. AND use it to highlight customer service. B2C – Facebook is a phenomenal tool for consumer based business. Facebook continues to build in functionality for the consumer, but also has made it more difficult for people to see posts from business unless they interact regularly. Investigate special offers, discounts, ads, check-ins, quizzes, contests. Build brand awareness and work to send business through your door. All you have to do is make sure that you are following the Facebook rules so that your business doesn’t suffer any consequences.